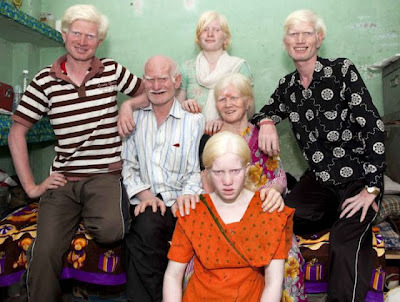 Pullan Family from India will enter Guinness Book of Records for being the largest Albino family in the world. 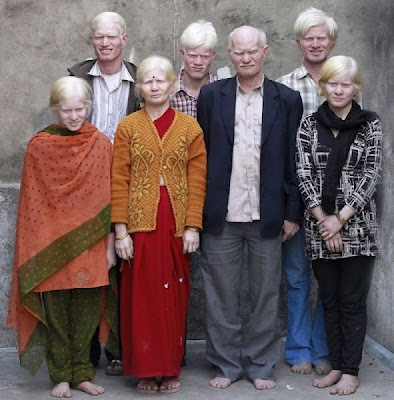 Albinism affects around one in 17.000 people, but it is the unique occasion that there’s a family of total ten person affect by this rare Condition. Several months ago there's another Indian family suffer from a rare condition called The werewolf Syndrome. 50-year-old Roseturai Pullan of Delhi, India is albino. So even though he’s Indian, his skin is bright white, his hair is white, his eyebrows are white, and his eyes are almost red. 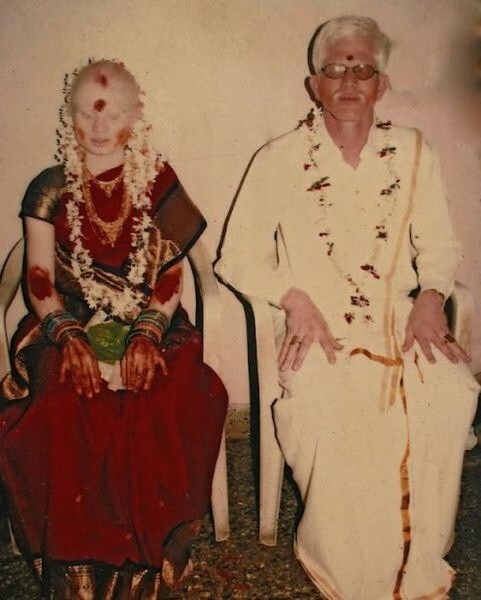 He married another Indian albino, 45-year-old Mani Pullan. They started having children. And all six of their children are albino as well. One of their daughters married another albino Indian man. They have a two-year-old who’s also albino. So, overall, that’s ten albinos in the family. And that is a record. The people at Guinness World Records are in the process of certifying them as the world’s biggest albino family. 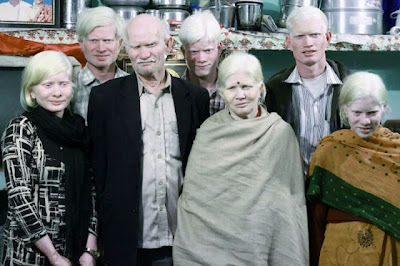 The Pullans Family live in a one-bedroom flat in Delhi and due to their unusually fair complexion are often called "angrez" (which means "English") by their neighbors. “It’s tough being an albino. I could never find a job, so I sell eggs, but that’s not enough to meet the needs of a large family,” he says. It’s also hard for them because they can’t stay in the sun that long and they all have poor vision, which is a side effect of being albino. Nevertheless, the Pullans enjoy their lives and are looking forward to global recognition as the unique family from the Guinness World of Records. 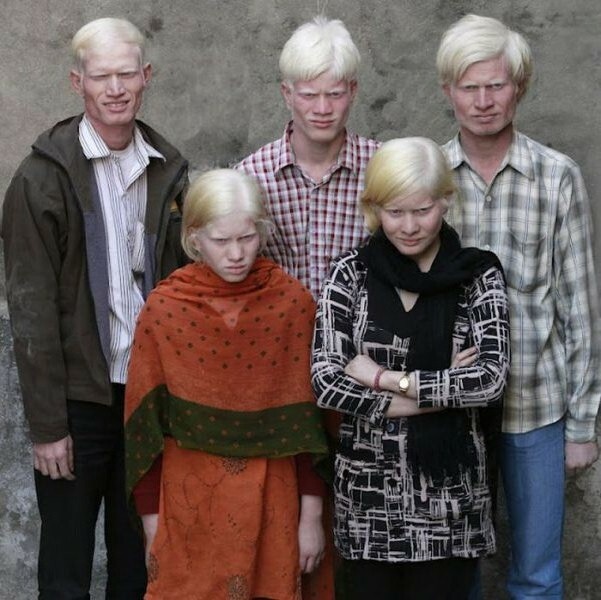 More pictures of Pullan family the Largest Albino Family in the World after the jump.